We've got history here. Sometime round the turn of the century, your reviewer and a couple of friends embarked on an A-Z pub crawl of London (A = Angel, B = Brixton, etc.). Part 'Z' was a bit of a tricky one. We opted for 'pubs closest to embassies beginning with Z', and The Star happened to be a near-neighbour of Zaire. Quite possibly nobody has ever visited The Star, before or since, for that reason. Anywise, the pub also has more general history. 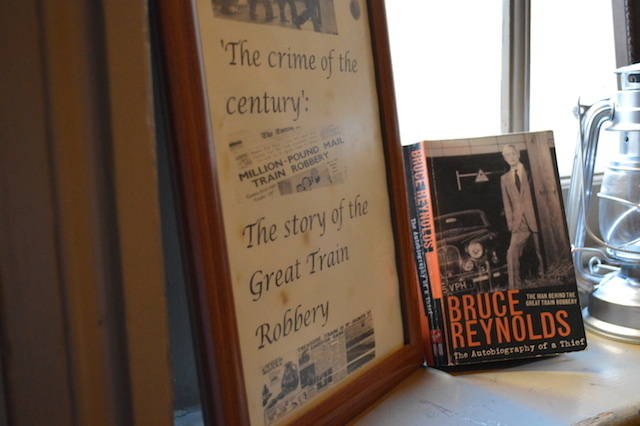 Plastered all over the staircase and upstairs room are mementos of the Great Train Robbery, which fiendish plan was supposedly hatched on these premises. 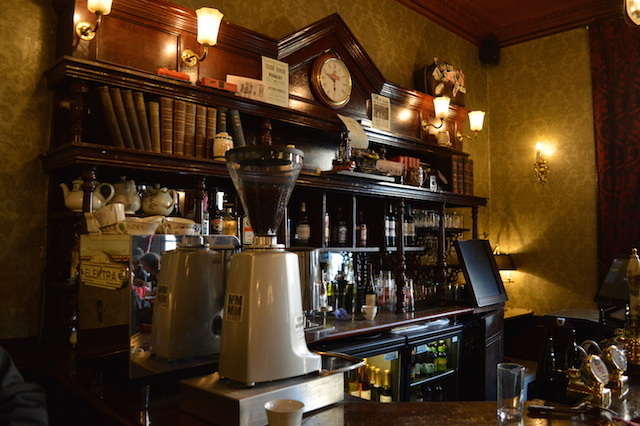 We've heard that about many other pubs, but this one seems to be the real deal. 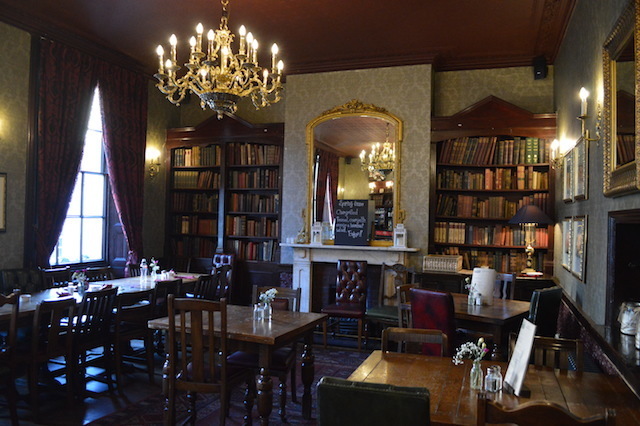 Stars such as Diana Dors, Peter O’Toole and Albert Finney also drank here. 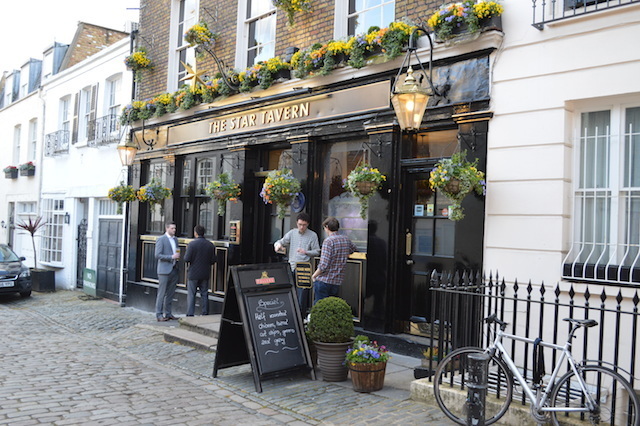 It's yet another 'hidden down a back street' pub in Knightsbridge, but carries a slightly smarter air than some of its brethren. It's certainly upped its game since the mid-Noughties, when a perspex board used to run around the pub at seated head height, to prevent hair grease ruining the wallpaper. Many punters are here for the dining, or sipping wine, or dressed in smart suits, or all of the above. A set of small rooms downstairs is delightfully cost, but easily crowded. There's a fair whack of extra space in the library room upstairs. Drinks are by Fuller's, with the usual range. Would you like heist with your drinks?